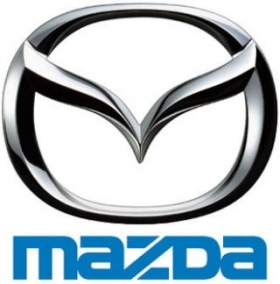 TOKYO (Bloomberg) -- Mazda Motor Corp. reported a narrower fiscal first-quarter loss on demand for more fuel-efficient models in its home market. The net loss was 6.5 billion yen ($83 million) in the three months ended June 30, compared with a loss of 25.5 billion yen a year earlier, the company said in a statement Tuesday. The automaker was expected to post a loss of 7.5 billion yen, according to the average of five analysts' estimates compiled by Bloomberg. Mazda is selling assets, shifting some production outside Japan and focusing on fuel-saving models as the company forecasts its first annual profit since 2008. The automaker's new CX-5 crossover sport utility vehicle went on sale in February in Japan and has sold more than double its full-year target of 12,000 units as of July 1. "The CX-5 is getting off to a good start,"said Koichi Sugimoto, a Tokyo-based analyst at BNP Paribas SA. "Their sales have benefited from the government subsidies in Japan to make up for their decline in China and Europe." Mazda's global vehicle sales rose 6.5 percent in the last quarter to 299,733 units, led by a 44 percent gain in Japanese sales as government subsidies on fuel-efficient cars, according to company data. U.S. deliveries increased 6.8 percent to 61,774 units, while sales in China and Europe dropped 12 percent and 1.4 percent respectively. Mazda said this month that it will raise the production of CX-5 to 240,000 units a year from 200,000 to meet demand. Mazda will start production of the Mazda6 sedan, equipped with its Skyactiv fuel-saving technology, in August. The automaker plans to introduce eight new vehicles, expanding the ratio of vehicles using Skyactiv to 80 percent by March 2016, it said in April. First-quarter operating profit was 1.8 billion yen, the company said Tuesday. Without changes to how it calculates tangible fixed asset values such as machines and industrial tools, operating profit would have been 1.24 billion yen less, it said. The carmaker maintained its full-year net income forecast at 10 billion yen, operating profit at 30 billion yen and sales at 2.2 trillion yen. The forecasts are based on 80 yen against the dollar and 105 yen against the euro.